I think one of the first questions people ask when they think about going solar is: How much do solar panels cost? Unfortunately, there’s no simple answer to that question… that is, if you want me to answer the question you’re really asking. I can very easily answer the question “How much do solar panels cost?” (see below), but I think the real question you’re asking is “How much will it cost to put solar panels on my roof?” — that’s a more complicated question to answer, but I’ll explain in more detail and provide some useful perspective on that in the article below. Solar panels themselves are now a global product. There’s tremendous variation in the cost of solar panels based on the type and efficiency of the solar panels. However, the type of panels used for residential solar installations is quite standard and the costs are basically set globally. That cost has fallen tremendously within the past few years — they’re now about half the price they were in 2008, and about 100 times lower than they were back in 1977. The latest US Solar Market Insight report (from Q1) put the price at $0.65/watt. A report from REC Solar shows that the price actually rose a bit to about $0.73/watt in Q2. Still, the price is very low compared to 2008 or 2009, and insanely low compared to 2000. 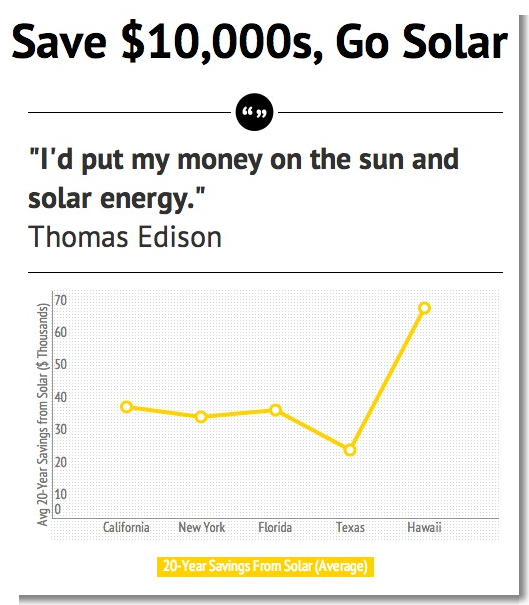 How Much Do Solar Panels Cost… On My Roof? The bulk of the price of going solar is now the “soft costs” (installation, permitting, etc.) rather than the solar panel cost. Again referencing the latest US Solar Market Insight report, the average installed cost of a residential solar panel system was $4.93/watt. However, prices vary tremendously by region. “Common residential system prices ranged from less than $3.00/W to almost $8.00/W,” the Solar Energy Industries Association writes. The total price of a system, of course, varies tremendously based on the size of your roof and your electricity needs.